Orme House is a brand new investment opportunity in the UK Purpose Built Student Accommodation sector, giving investors an opportunity to purchase a fabulous income-generating asset. The development comprises 102 modern self-contained one-bed studios and two-bedroom apartments, which will be complete to a high standard and will be delivered fully furnished. 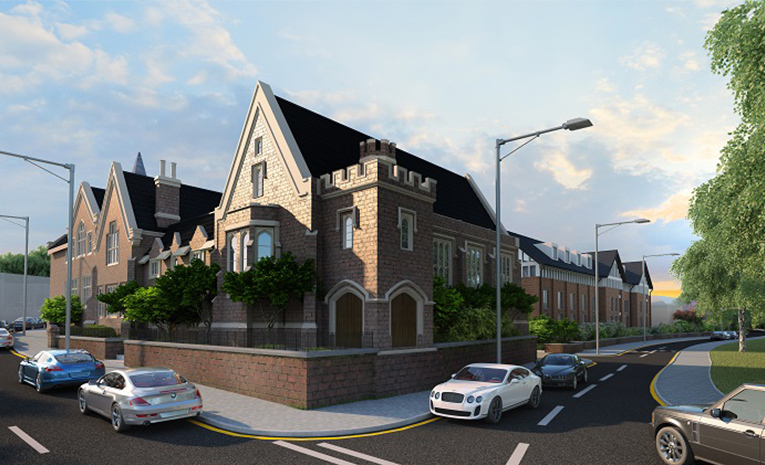 Part of the development is a beautiful listed school building and a new build block. Each studio will feature a kitchenette and an en-suite bathroom and is available from just £69,999. Payment is spread throughout the build and, what’s more, 5% interest will be paid on your deposited funds until the build is complete. The development will serve the accommodation requirements of students studying at both Keele and Staffordshire Universities. With a huge shortage of quality, self-contained accommodation in the area, Orme House is set to deliver a unique and unrivalled option for students at an incredibly competitive price. Particularly popular with international students and postgraduates, Orme House provides first-class living standards coupled with a full range of facilities and communal meeting spaces. Student property continues to remain one of the best performing property sub-classes of the last 20 years. Its resilience to cyclical economic patterns has created a platform for investors of continued risk-aversion during the economic downfall: as student property values have stayed the same or increased, the number of accommodation spaces available to students is still failing to keep up with the growth in applications. With international student mobility constantly increasing and new legislation limiting the amount of approved HMO (houses of multiple occupancy), purpose-built student property is proving to be a reliable source for secure investments. Orme House is in Newcastle-under- Lyme’s town centre and is just a short walk from the shopping centre, public transport, banks, bars, cinema and supermarkets. Orme House provides the luxury of being central to the town but also is within just 5 or 10 minutes from each of the two Universities of Keele and Staffordshire.